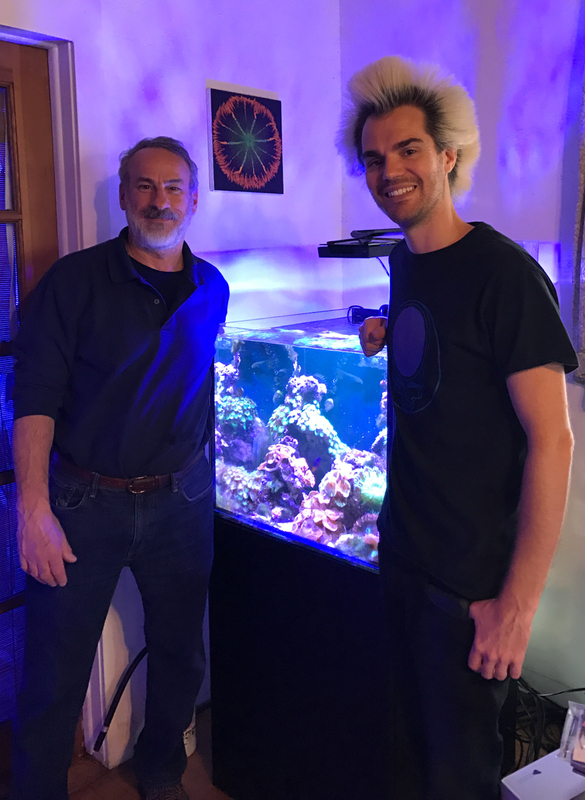 I (NIGHTSEA founder Charles Mazel) recently had the opportunity to visit Colin Foord at his home base in Miami, where he grows a variety of corals, corallimorphs, and anemones in his reef tanks. 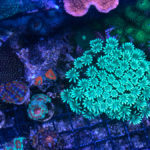 Colin is the founder, along with his long-time friend Jared McKay, of Coral Morphologic, ‘creators of innovative underwater media chronicling Earth’s imperiled coral reefs.’ Colin also explores the urban waterways of Miami, work that has led to interesting discoveries of corals and zoanthids living under high-stress conditions. 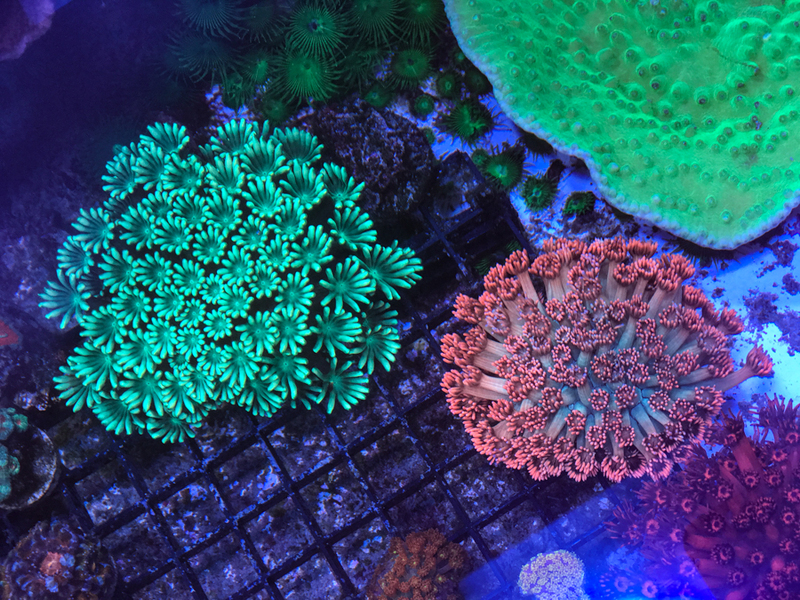 I highly recommend exploring the Coral Morphologic web site for more information. 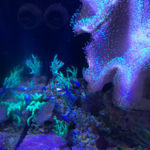 I had known Colin through e-mail and phone but we had not previously met in person. 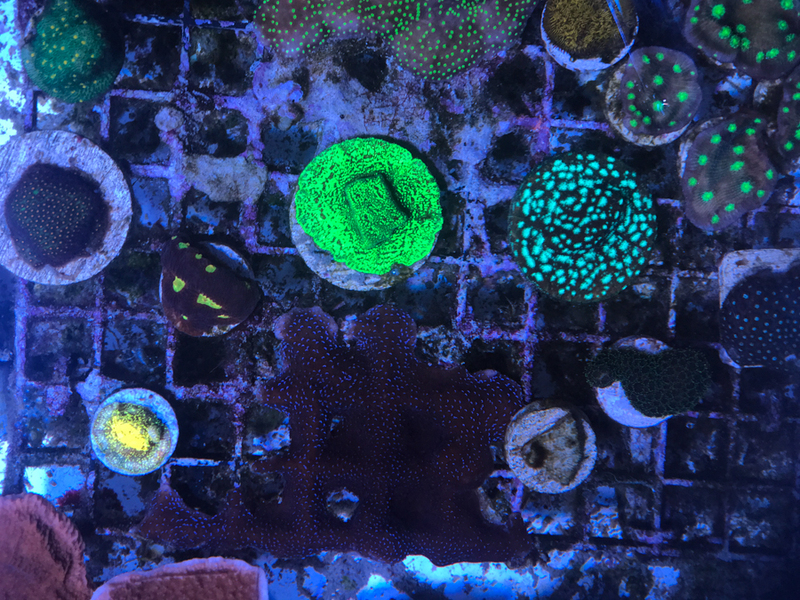 We had a great conversation about the possible function of fluorescence in corals (still a subject being worked on by researchers), and also about corals and fluorescence as a platform for communication and education. 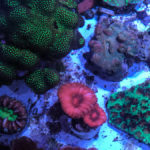 Colin is passionate about reefkeeping and all that is associated with it as a great tool for STEM (Science, Technology, Engineering, Mathematics) education. 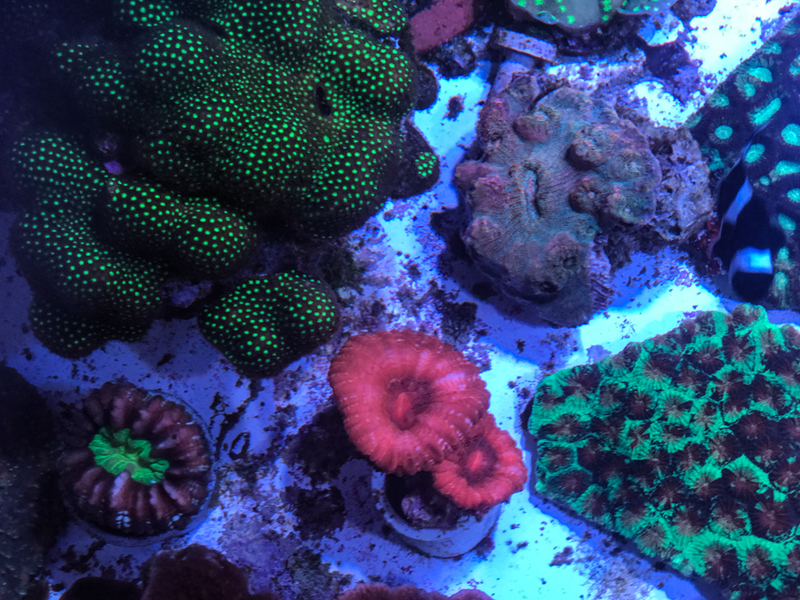 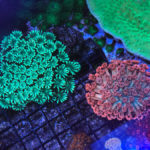 If you are going to keep corals alive you need to master a healthy dose of each! 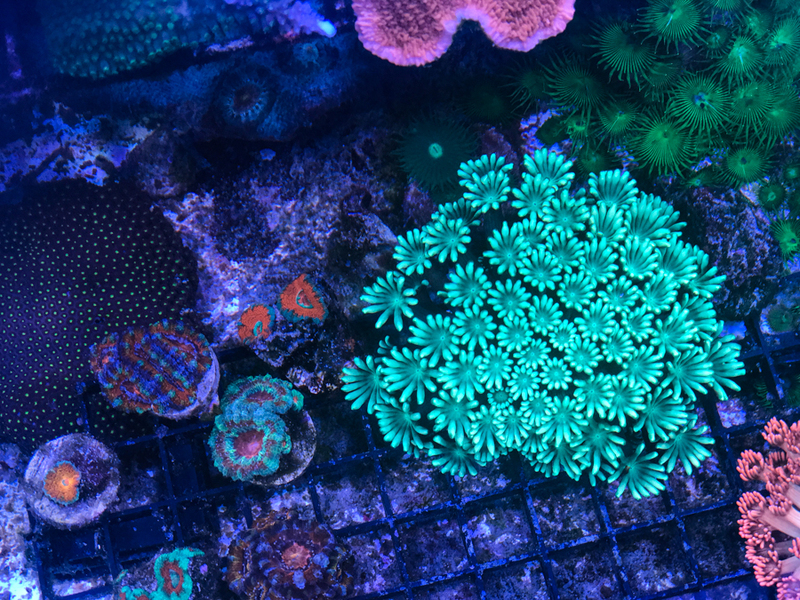 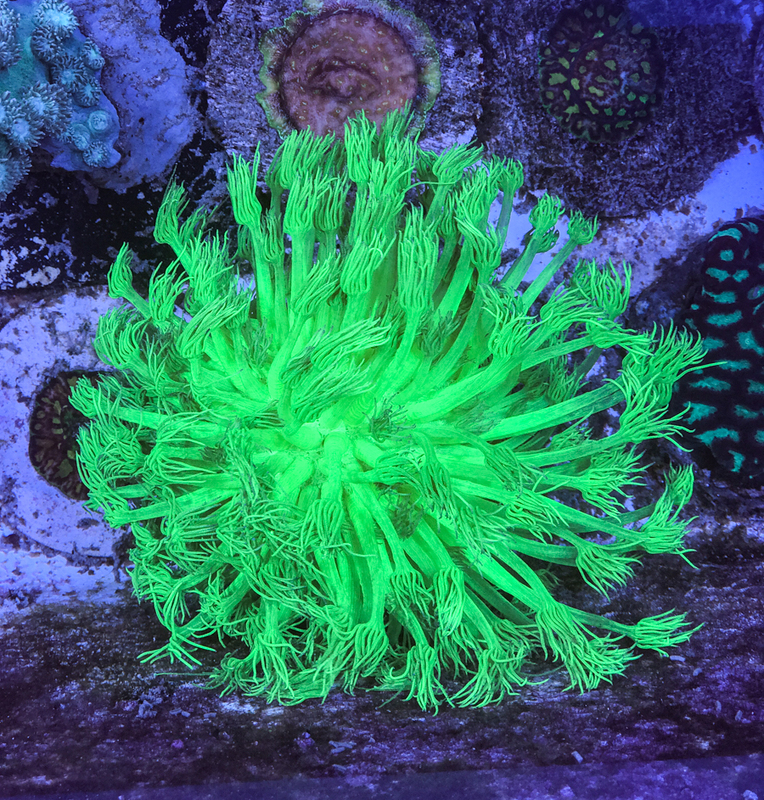 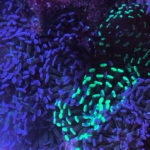 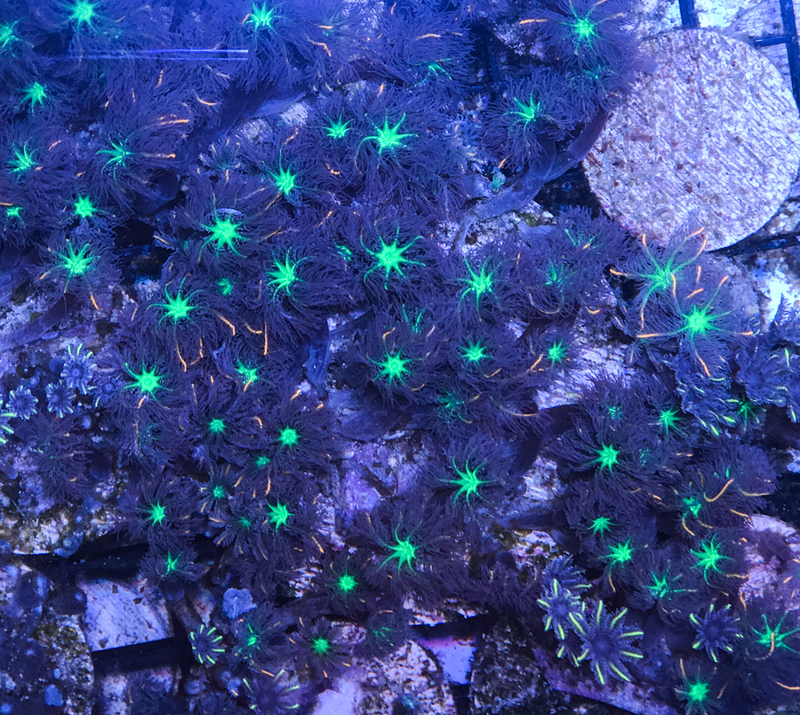 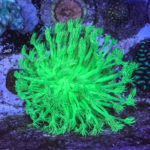 But Colin goes beyond this to make it STEAM – the A is for Arts, recognizing the pure beauty of corals in general and fluorescing corals in particular. 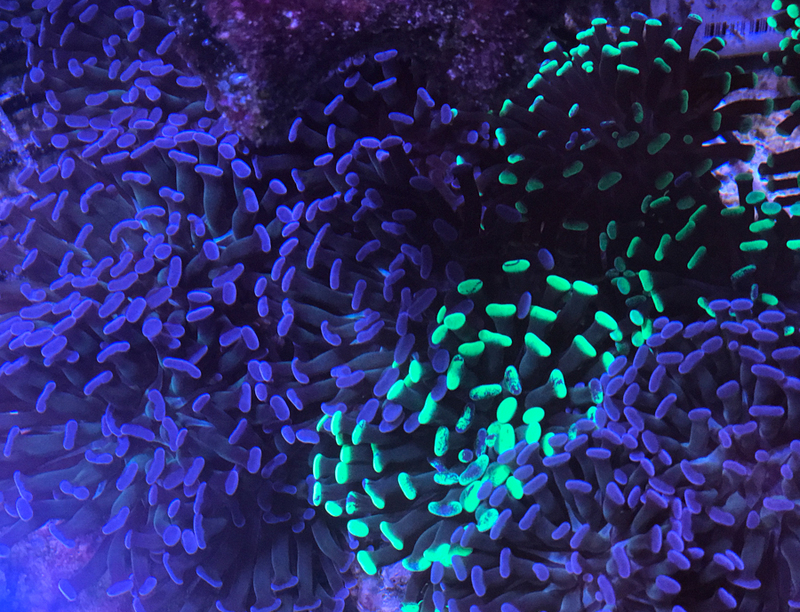 And even further, to STREAM – the R is for Responsibility, because if you aren’t diligent and attentive your reef tank will eventually fail. It is great to meet people like Colin who are so passionate about the environment and the future. 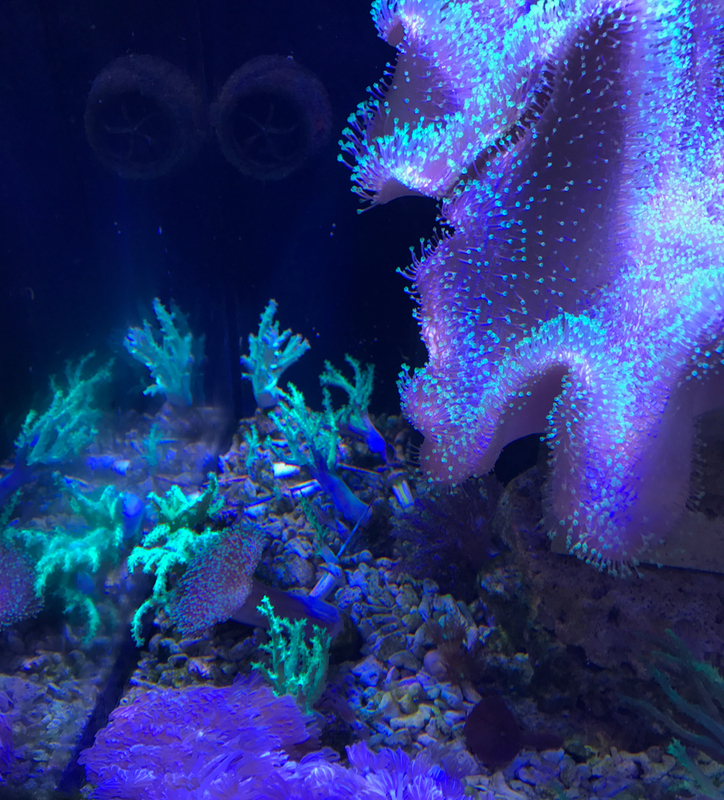 Here are some pictures of Colin’s specimens, shot with my iPhone camera. 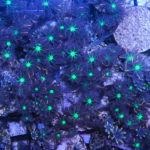 The video shared here is a nice documentary on some of Coral Morphologic’s work. 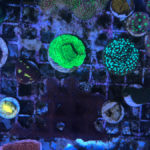 Coral City from The Creators Project on Vimeo.